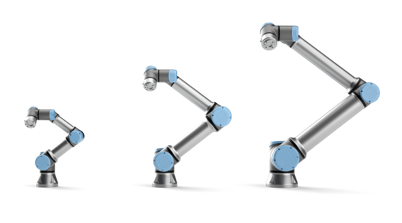 This latest type of robot will enhance your manufacturing process by working side by side with your employees. Its built-in force-sensing allows this to happen with no danger to the employee. This safe, collaborative robot is perfect to take over when there is a mundane and/or strenuous task that is normally performed by a human. Safety: Built-in force sensing allowing robots to stop operating when they encounter an obstacle. Can work in reduced mode when working side by side with humans. Ease of Use: Fast setup. 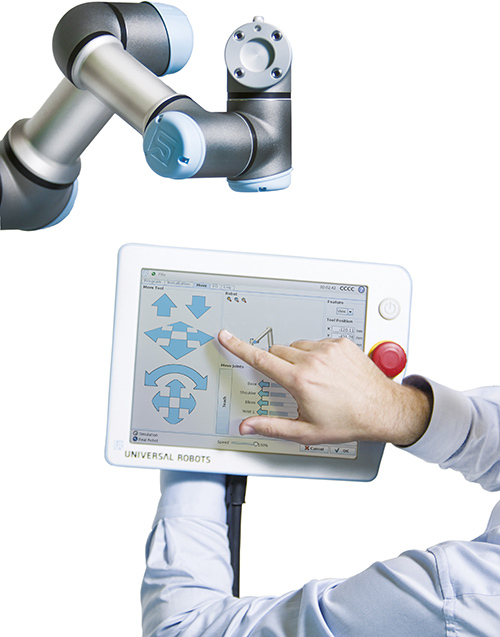 Operators with no programming experience can quickly program a UR robot. Easily moves & redeploys to perform new processes. Diversity of Use: Can be implemented in virtually any industry. Can be a solution for problems involving precision, speed, optimization, or ergonomics.